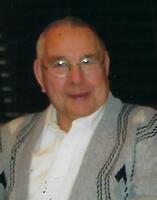 Provide comfort for the family of Norman Nesheim with a meaningful gesture of sympathy. Formerly of Stirling, passed away suddenly at Peterborough Regional Hospital on Monday, April 8th, 2019 at the age of 88. Norman is predeceased by his first wife Ingrid Nesheim (2006). He will forever remembered fondly by his wife of 12 years Lois Sills-Nesheim and her sons Gord Sills (Susan) of Ottawa , Jack Sills (Marlene) of Toronto and their children; Jeff, Brad, Scott and Lindsay. He will also be sadly missed by his family back in Norway. In keeping with Norm’s wishes cremation arrangements have been made with STIRLING FUNERAL CHAPEL LTD. 87 James St. Stirling (613-395-2424). There will be no services at this time. Norm will be laid to rest in the spring at Christ Luthern Church Cemetery in Maynooth. If desired, memorial donations to Campbellford Memorial Hospital are appreciated by the family. Donations are being accepted for: CAMPBELLFORD MEMORIAL HOSPITAL. Consider providing a gift of comfort for the family of Norman Nesheim by sending flowers. Norm and I spent a lot of time and hours together and we shared many many stories and life adventures, as well , he found a spot in my heart that I will cherish forever, every time I have a coffee and donut I will be sharing it with him , I miss him so very much what a wonderful man I loved him dearly. Forever in my heart Norm your friend John Barrett it was such a joy and pleasure knowing you , I will be looking for you on the other side.